Your high-performance engine requires high-performance cooling. High engine temperature not only affects your engine’s ability to delivery horsepower, it also impacts the durability and lifespan of your engine. We will check that your water pump is delivering the coolant from the radiator and cycling properly. We’ll check for damage and leaks, as well as the wear on the water pump bearing, which tends to damage easily. 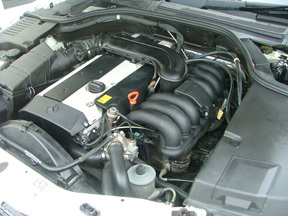 If you notice any leakage from your cooling system, bring it in immediately to protect engine life.